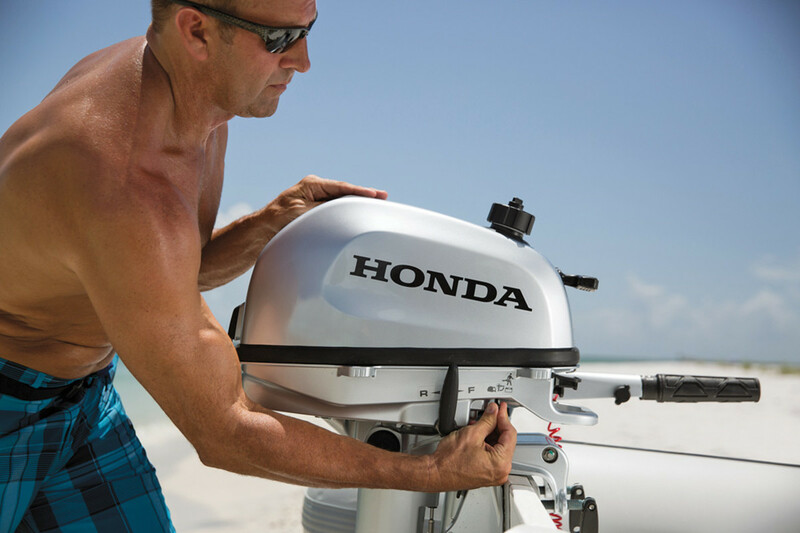 The Honda BF6 won for outboards. Problem solvers, game changers and technology designed to appeal to millennials stood out in a field of 85 new products that competed for the 2016 IBEX Innovation Awards in Tampa, Fla. Judges from Boating Writers International recognized 13 winning products at the International BoatBuilders’ Exhibtion & Conference. The winners were announced at the IBEX industry breakfast on Oct. 4. Garmin’s Fantom 6 Doppler radar stood out to judges as a game-changer, says BWI past president Alan Wendt, chairman of the Innovation Awards. Garmin’s Fantom 6 was a co-winner in the hotly contested OEM electronics category, sharing the win with Wet Sounds’ SYN-DX 6-DSP marine amplifier. “We introduced Fantom 6 at last February’s Miami show, and the response has been fantastic,” says Garmin representative Gene Quindlen. Furuno also uses Doppler radar (the DRS4D-NXT). 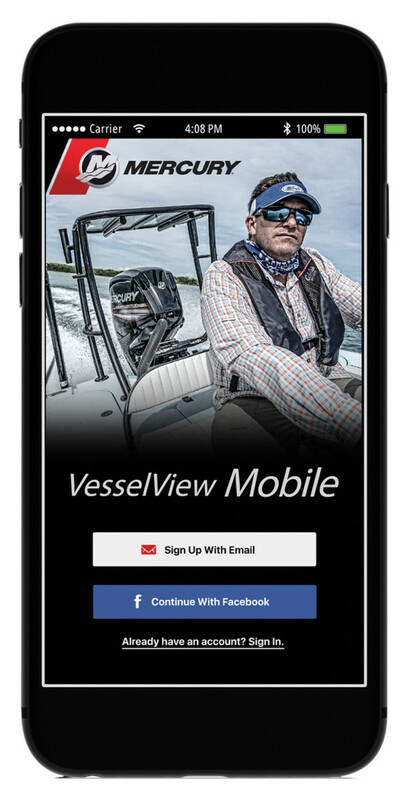 The award-winning Mercury Vessel View mobile app, which gives users access to their boats’ SmartCraft digital data via smartphones, and the VIRB camera from Garmin, which takes high-definition action photos and videos in extreme environments, are also geared to millennials. During two days of judging, the panel could see the pontoon industry’s effect on product innovation this year, says Wendt. UFLEX USA introduced a steering device for pontoons and for any boat in the low-to-midrange-horsepower category. The steering wheel is attached to an electromechanical drive system coupled to the UFLEX planetary gear design. Mercury’s VesselView app won for propulsion parts. Amertex, another company that addressed challenges in the pontoon sector, entered three products that it says solve consumer and OEM pontoon boat issues. They include a travel cover— the MDC Cover System by Taylor Made. Judges recognized dual winners in two of the 10 categories, and gave a special Environmental Award. The hottest competition was in the OEM Electronics category, which saw 26 entries, the largest concentration. The deck and hardware category, which had 23, was also highly competitive. Volvo Penta’s Easy Drain won for inboards. Boatbuilding methods and materials: Banova, 3A Composites Baltek Inc.
OEM electronics: dual winners — Garmin USA, Fantom 6; Wet Sounds Inc., SYN-DX 6-DSP stereo amplifier. Environmental Award: Fireboy-Xintex Inc., CG / MA and GA 3M Novec 1230 fixed fire extinguisher. 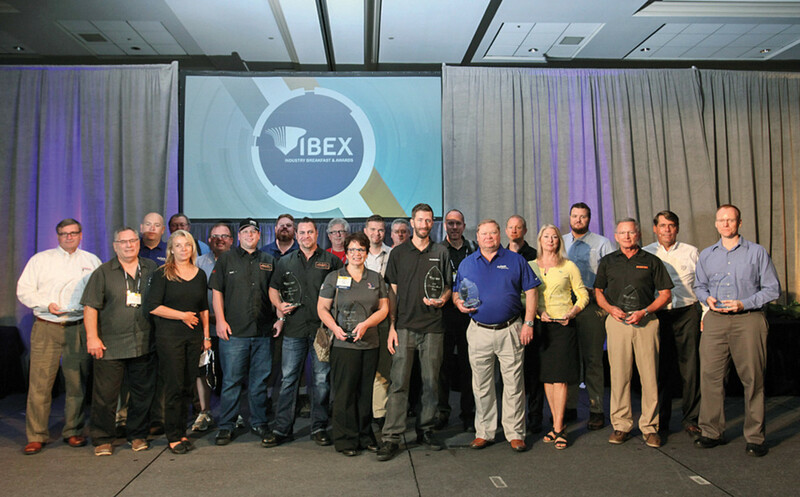 Several other awards also were presented at the IBEX industry breakfast on Oct. 4. 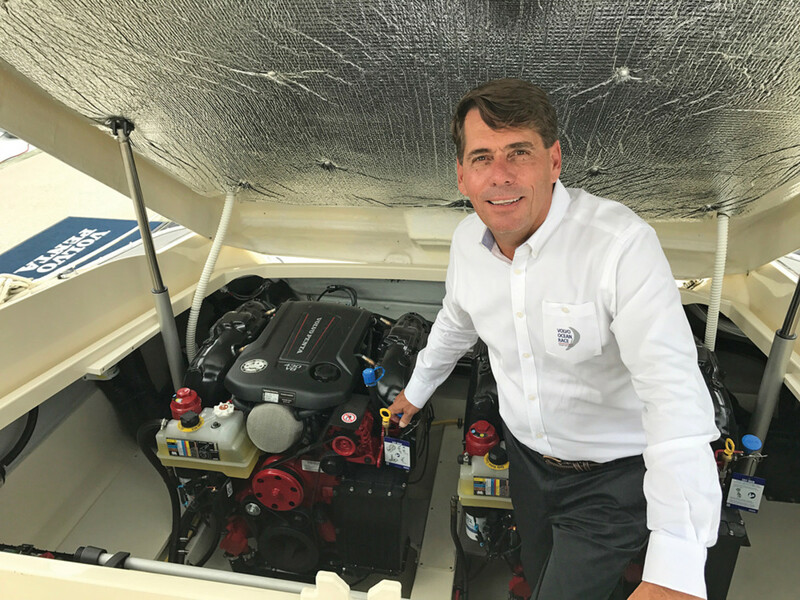 “From his reshaping and building of Correct Craft to his involvement in the industry, he stands out as one of the top leaders in boating,” says Boating Industry editor-in-chief Jonathan Sweet. Sweet cited Yeargin’s work in Washington, D.C., advocating on key industry issues such as trade and work force development while managing Correct Craft’s numerous acquisitions. There were 85 new products in the 2016 Innovation Awards at IBEX. Mercury Marine was the only company to win in two product categories. The National Marine Manufacturers Association inducted Bob Menne Jr., CEO of Premier Marine, and Victor Porter, chairman of Formula Boats, into the NMMA Hall of Fame. The two are pioneers in the industry who have “paved the way for its future with unwavering dedication, innovation and passion for boating, their communities and families,” says NMMA president Thom Dammrich. Rob Gueterman, president of the National Marine Representatives Association, and Sweet, presented the Mel Barr Award to Johnny Thomerson, national sales manager of Lenco Marine. The award honors the memory of Barr, an independent marine rep who was one of the founders of the NMRA and its first president. After he died in 1967, his family, along with the NMRA, established the award. Capt. Lou Gainor: Nautical Talk — Northeast radio host.